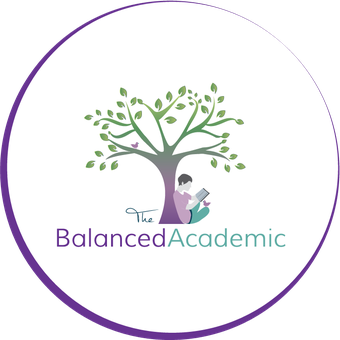 One of my primary focuses as an academic coach is on helping graduate students and faculty establish work-life balance. In order to develop such balance, it is vital that we reflect on how we are socialized by our experiences in academia. Such reflection entails recognizing both the positive and less positive ways that academia shapes our identities, thoughts, and actions. Self-knowledge is power and closely attending to how we are socialized by our experiences as students or faculty can increase our sense of balance and, in turn, lead to us becoming happier and more productive. I would like to share a story with you that highlights the value of reflecting on how academia shapes our thinking processes. 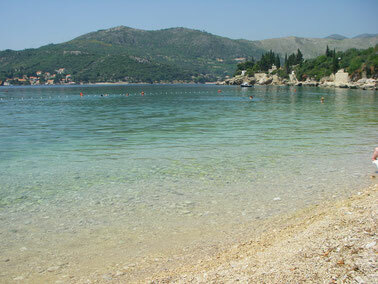 In the spring of 2009, I went on vacation to Croatia. At this point in my life, I had finished my PhD and I was teaching at a university in the UK. Although I have many fond memories from this trip, I also remember experiencing the intrusiveness of what I have since come to call "comparison mind." While sitting on a beach a short walk from my hotel, I found myself having a thought that took me out of the present moment. The beach I was on was small (approximately 500 feet long); it consisted of pebbles and it had many people on it. While sitting there looking out at the turquoise water I found myself thinking, "Well, this is nice but it's no Prince Edward Island." I had gone on vacation many times to PEI and I loved the soft sand beaches on which you could walk for miles and only see a handful of people. Comparing Croatia to PEI and deeming PEI the "winner" made it difficult for me to enjoy my experience of sitting on this lovely beach full of happy people who were soaking up the sun and frolicking in the water. Unfortunately, this wasn’t a fleeting thought. Rather, at different moments during this vacation I would think about the inadequacies of my experience in Croatia in comparison to previous experiences I had in PEI. Clearly, this was not a recipe for having an enjoyable holiday. I felt dissatisfied and disgruntled and, even though I did enjoy many parts of this vacation, I kept thinking that my money would have been better spent elsewhere (namely in PEI). The vacation was nice but not as nice as it could have been according to my hypercritical, comparison mind. In actuality, the vacation would have been a lot better if I could have suspended my comparison mind but this is not how I saw things at the time. I don't remember thinking that there was anything wrong with my critical view of this vacation. Yet memories of these moments of comparing Croatia to PEI returned to me many years later when I had finally started to pay attention to the workings of my mind through the practice of mindfulness. Buddhist psychologist Jack Kornfield talks about the value that can be gained from paying attention to our minds and identifying trends in our ways of thinking. He also explains that it can be helpful to name our thought processes (see, for instance, his books A Path with Heart and The Wise Heart). When I started to increase my awareness of my thoughts and name them, I was shocked to realize the prevalence and persistence of my “comparison mind.” I came to recognize that much of my day was spent comparing one thing to another and, in turn, feeling dissatisfied with either the present or the past. While it is important to recognize our thought processes, it is also vital that we try to understand why we are thinking in this manner. Perhaps we were taught a particular thought pattern by our parents, our friends, or a religious institution. In the case of my comparison mind, it was pretty clear to me upon reflection that this way of thinking resulted primarily from how my mind had been shaped by the years I had spent as an undergraduate and graduate student. Students learn early on in academia the compare and contrast approach to analysis. This is clearly a valuable analytical tool within academia and it also has important applications beyond academia. For instance, being able to compare and contrast different options is often central to good decision making. I am grateful for the critical thinking skills that I developed in university and I am committed to teaching my students this important mode of thinking. However, another important skill students and faculty need to develop is the ability to let go of critique and just be in the present moment. Unfortunately, this skill isn’t taught in university. As my above story reveals, problems arise when we are unable to shut off our comparison mind and other modes of critical thinking. We all need to have mental down time and to learn the invaluable skill of being present. As an academic coach, I encourage my clients to have a balanced perspective of their thought patterns. For instance, I understand that my comparison mind has value and serves an important purpose in my life. Yet I also understand that it is not healthy to be constantly stuck in this mode of critical thinking. For me, the key to gaining control over this comparative mode of thinking is to have a balanced perspective of it and to practice self-compassion. Rather than being annoyed when my comparison mind removes me from enjoyment of the present moment, I remind myself that this mode of thinking is useful in many circumstances. Then, as per Jack Kornfield's guidance, I gently say to myself, “Thank you for visiting me comparison mind but you are not needed at this time.” In my experience, learning to let go of critique and enjoy the present moment actually leads to better critical thinking when I am doing my academic work. Introspection, coupled with self-compassion, can help us to not only become more productive as academics but also understand why we react the way we do to different situations in our personal lives and gain more control over our thoughts and actions. I think that this is a fantastic thing that you are doing. This is been my issue precisely--trying to strike a balance between my academic, and personal life. The critical mind wants to work 24/7, and can be very hard to switch off, especially in instances where, when it IS switched off, one does everything they can to conjure it up, or call back its presence again. This is my experience--on the one hand, I can see the importance of the balanced academic, but on the other, there is something so intrinsically rewarding about the critical mind, that the inclination to use this faculty of the mind over the more leisure faculty (as Plato once said), is what the academic values. After years in the academy, critical thinking does become pleasure--I don't necessarily think there is anything wrong with this. After all, being a critic is a vocation. I do, however, agree that we all need to take that time for ourselves to rest our minds, for it is through resting our minds that we can be more productive in our work, later. This is what I am trying to do, as after next year, I would love to pursue a Masters degree in English literature. I just need to convince myself that my work and skills that I have acquired are not "going" anywhere--that they will always be there, so it does not hurt to relax and take a little break; that I am not "forfeiting" anything by doing so. Thanks, Emma, for sharing your thoughts :) It is good to hear that my blog post resonated with you! I can definitely relate to getting pleasure from critical thinking…I love the creative and critical thinking that is awakened through the process of learning, teaching, and researching. Yet, after years of living in a state of all mind all of the time, my body started screaming at me to pay attention to it and I have found the process of reconnecting with my body and my surroundings has given me a different type of pleasure. While it is certainly true that resting the mind allows for more productivity when we return to critical thinking, the value to this resting is far greater than that. I have found that there is deep pleasure to be found in the actual process of letting the mind quiet down and then seeing what other experiences awaken in the light of this resting (e.g. physical, emotional, and spiritual experiences). I took a year off after my graduate studies to work in the non-profit sector and I am happy to be able to tell you that my critical thinking skills didn’t disappear :) Taking this time off allowed me to return to academia refreshed and grateful for the experience of being able to devote my days to critical thinking, reading, and writing. Hopefully this will also be your experience. Thanks again and I wish you the best of luck in all of your future endeavors!